We enhance students’ experience of civil and building services engineering with equipment-rich facilities. As the field expands into both applied science and engineering, there are many opportunities for students to develop their skills in the workshop, specialist £2.8 million sustainability centre, acoustic laboratory, digital robotics lab and Building Information Modelling Centre. Our facilities for materials research are extensive and include sophisticated equipment for growing engineering coatings and functional thin films for devices such as solar cells. They support sophisticated characterisation techniques, including electron and atomic force microscopies and nanohardness testing that can probe materials at the nanoscale. 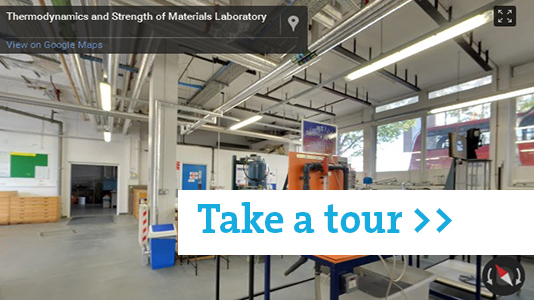 Take a virtual tour of the thermodynamics and strength of materials laboratories. 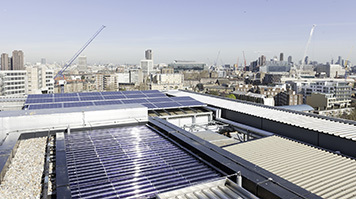 This unique resource supports the teaching, research and demonstration of low carbon energy technologies in the built environment. With our Flexible Climate Simulator we're testing and developing new techniques and systems. It allows us to construct full-scale and scaled environments to better understand climatic influence and be capable of controlling strict environmental conditions. 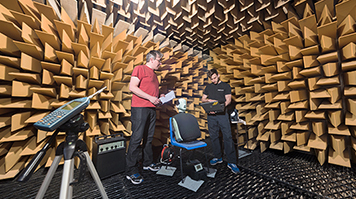 A rare find in London, our anechoic and reverberation chambers are key pieces of equipment in acoustic and environment testing work. 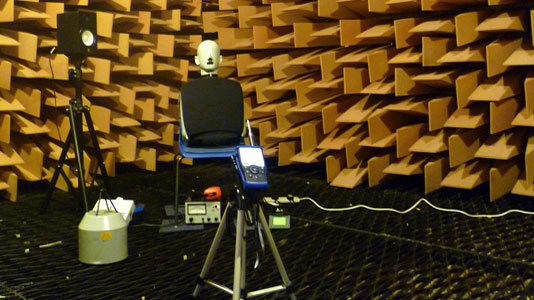 Both chambers can be used for simulating idealised acoustic conditions for researching a number of noise phenomena: sound power determination, binaural recordings, measuring source directivity, the testing of hearing protectors and the demonstration of fundamental acoustic principles. This advanced digital manufacturing robotic lab is designed for high-quality research, as well as developing commercial applications for architecture. This is achieved by using an industrial robotic arm in combination with quick change plates, which are able to easily modify the configuration of cells depending on the process to be applied. BIM is an approach to managing and planning every aspect of design and operation in the construction process in a better, more efficient way to improve the basis upon which the construction industry and its clients operate. The BIM Centre acts as a hub for innovation, professional training and networking amongst practice experts in the built environmental sector. The Constructionarium is a national learning facility created for civil engineering undergraduates to gain a practical site experience. Spread over six days, the Constructionarium allows students to develop practical skills and establish working links with industry. Facilities, students and staff feature regularly in our knowledge transfer and consultation activities with industry. 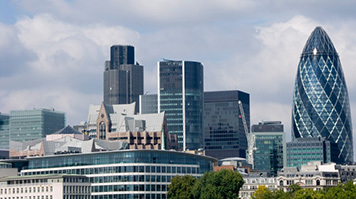 Read more about how the School works with business at LSBU.